LISTEN NOW! 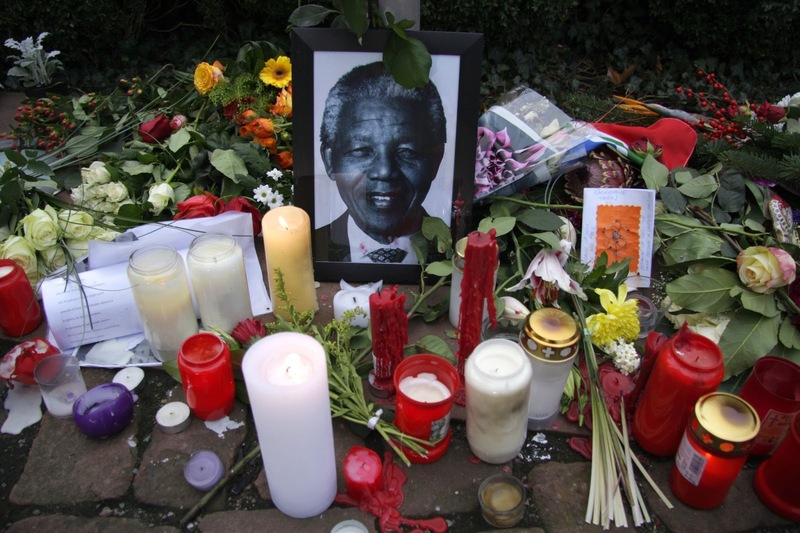 Greg, John, and Pat remember South African leader Nelson Mandela who passed away yesterday December 5, 2013 at the age of 95. They continued to share about Nelson Mandela, who is being called South Africa’s greatest son, life and the things he did and suffered for throughout his life. They share how Mandela gave his life to end anti-apartheid and the injustices that were committed to black South Africans although they represented nearly 90 percent of the population. For 20 years his movement was one that began with nonviolence but then according to CBN he took upon a philosophy of armed struggle. “In 1964 he was sentenced to life in prison for planning to topple the government. When he was finally released in 1990 he had a much more tolerant attitude towards his opponents in the government.” Mandela would spend 30 years in prison. Those 30 years he spent in prison transformed him from anger to hope and reconciliation and he eventually became the first black president of South Africa. They continue to discuss the prophetic word given by Kim Clement during the time of Mandela’s imprisonment which spoke of the first black South African President.